John Christopher’s Tripods is almost the definition of a forgotten gem: a work so influential that we see its effects pervasive throughout modern fiction and yet few realize where the influence originally came from. The Tripods trilogy, consisting of The White Mountains, The City of Lead and Gold, and The Pool of Fire, is a young adult science fiction story about a future Earth that has been invaded and conquered by Tripods – gigantic, three-legged machines controlled by unseen aliens. The alien overlords have enslaved humanity through the use of ‘caps’, implants that allow them to suppress and control thought. In The White Mountains, young protagonist Will fears his upcoming capping ceremony (to be performed on his 14th birthday), and so with his friends Henry and Jean-Paul in tow, he flees his home seeking the legendary human resistance located somewhere in the White Mountains. Over the next two novels, the boys face more challenges, as Will is captured and subsequently rescued, and the trio eventually helps overthrow the reign of the alien masters in The Pool of Fire. The imagery of towering alien tripods has persisted to this day, such as in video games like Half-Life 2 and Crysis, but though Christopher may have helped popularize tripods, he can’t take credit for imagining them himself. 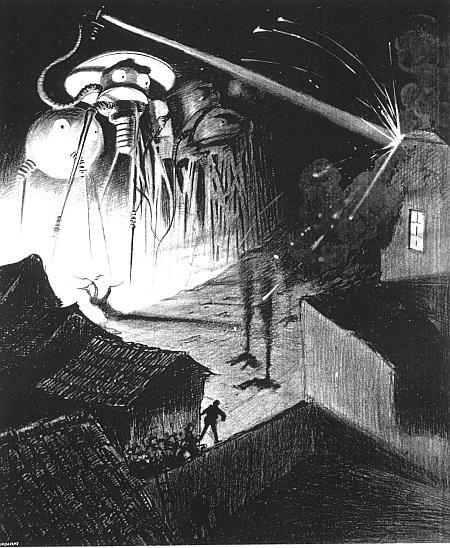 That honor would appear to go to H. G. Wells, whose iconic novel The War of The Worlds featured massive Martian tripods armed with heat rays and sporting fearsome dangling tentacles. Nor did Christopher popularize the idea of alien mind control through his ‘caps’, an idea which was explored almost two decades earlier in Robert Heinlein’s The Puppet Masters. So how exactly is the Tripods trilogy so iconic, then? The answer, I think, lies in the novel’s genre, plot devices, and themes. You see, the Tripods trilogy is an interesting beast. It’s a dystopian, post-apocalyptic adventure story. Nowadays, that sort of story is a dime a dozen. In fact, the market is so over-saturated with YA dystopian novels that editors will (almost without exception) not even consider buying them. However, The White Mountains was first released in 1967, and at that point in time, such stories were virtually unheard of. John Christopher expertly evoked images of 15th and 16th century Europe and merged them with imagery of a deteriorated industrial society to create a ‘lost-technology’ society, which, again, is very much in vogue now but was rather novel at the time. In addition, Christopher also used plot devices that are now extremely popular in modern YA fiction. For example, in The City of Lead and Gold, Will, Henry, and Jean-Paul enter an Olympics-style competition where the winners are offered as tribute to their alien overlords. Sound familiar? If you’ve read The Hunger Games or any of a host of other recent YA sci-fi/fantasy books, it should. Not to say that Christopher came up with the competition plot device, as he certainly didn’t, but, like his use of setting and his ability to create a compelling atmosphere, he used this and other plot devices to create a memorable, cohesive story. Now, to be fair, while I’ve labeled the novels as young adult, the fact is that they are more likely middle grade works, and as such, it has been a very long time since I have read any of them. Therefore, I cannot vouch for whether or not they would serve as entertaining reads for adults. What I can say, however, is that they’re extremely fun reads for young boys, and at least for me, they helped create enduring imagery that has lasted into adulthood. In my introductory post, I wrote a lot about not only what genres of music and literature I like, but about what sub-genres I like within those genres. As the total wealth of human knowledge becomes immeasurably vast, we as humans have felt the need to sub-compartmentalize genres of fiction and music into smaller and smaller categories, until each one is so specific that it excludes 99.9% of the other stuff that’s out there. I assume we do this to try and make ourselves feel cool and unique. Instead of being one of millions of people who read sci-fi, you become one of a few hundred people who are really into dying earth/planetary romances mixed with space westerns (I just made that amalgamation up by the way, but it wouldn’t surprise me if someone had written something along those lines). Suddenly, your passion is a niche that you can lord over your friends, making you seem infinitely cooler than them. Of course, the problem is that there are so many sub-genres out there now that you might easily be confused by all the nomenclature. What in the world is Bangsian fantasy? Or sword and planet fiction? You need an expert to figure it all out for you. Well, I’m your expert. Sort of, anyway. At the very least, I know how to use a search engine well enough to fake it. 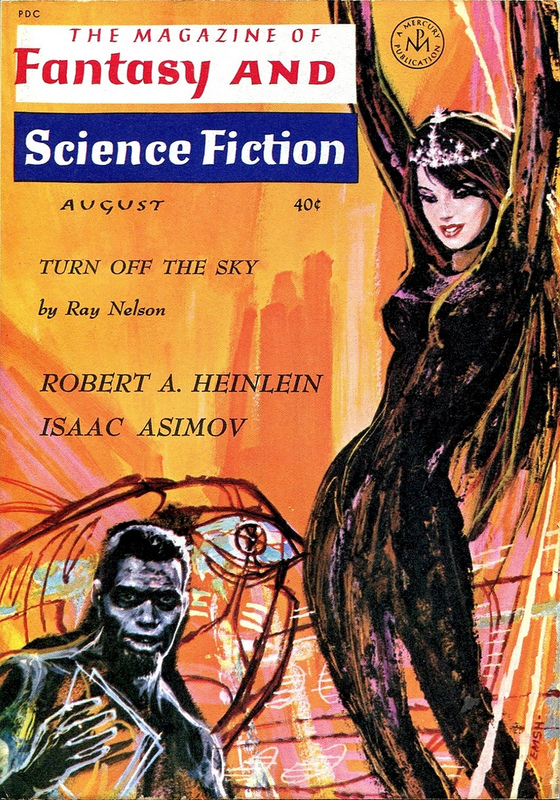 The term ‘space opera’ was first coined in the 1940’s by a fanwriter by the name of Wilson Tucker as an insult towards stories that he described as “hacky, grinding, stinking, outworn, spaceship yarn[s].” The stories that he referred to first started showing up in the 20’s and 30’s following Hubble’s discoveries that hinted at the immeasurable vastness of our universe, which spurred fiction writers to start thinking beyond the confines of our own solar system. 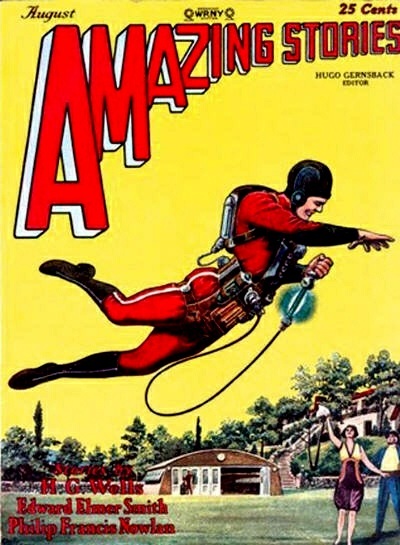 In fact, the first great space opera is sometimes accredited to E. E. “Doc” Smith, whose The Skylark of Space first appeared in the August 1928 edition of the pulp magazine, Amazing Stories. By the early 40’s, the stories had become so repetitious and hackneyed that fans, such as Tucker, lumped them into a ‘space opera’ category to be summarily ignored. Of course, the type of story did not die, as writers like Poul Anderson and C. J. Cherryh continued to write them throughout the late 70’s. By this point, the term ‘space opera’ had grown beyond being a mere slushy insult and blossomed into its own genre. Then in the late 70’s and early 80’s, space opera underwent a mini resurgence, not in literature, but in film, thanks to the release of Star Wars, which would go on to become one of the most successful movie franchises of all time. Star Wars is prototypical space opera, and its success launched a parade of other reasonably successful space opera films over the next few decades. Though space opera literature has perhaps never experienced quite the same popularity as it did in it’s very early days, it continues to have a solid following, and in my opinion, is poised for another resurgence. For those fantasy readers out there, I tend to think of space opera as the science fiction equivalent of epic fantasy. Both deal with big, epic stories, both focus around a powerful, sympathetic hero character, both often feature battles between forces depicted as good and evil, and both emphasize magic/mysticism over realism. If you like one, chances are you’ll like the other as well. So, what do you all think? What are some of your favorite space opera stories? What important contributions did I miss? Duke it out in the comments. Image credits: Featured image by Andre35822 (Own work) [CC-BY-3.0 (http://creativecommons.org/licenses/by/3.0)], via Wikimedia Commons. Post image by Frank R. Paul [Public domain], from Wikimedia Commons.